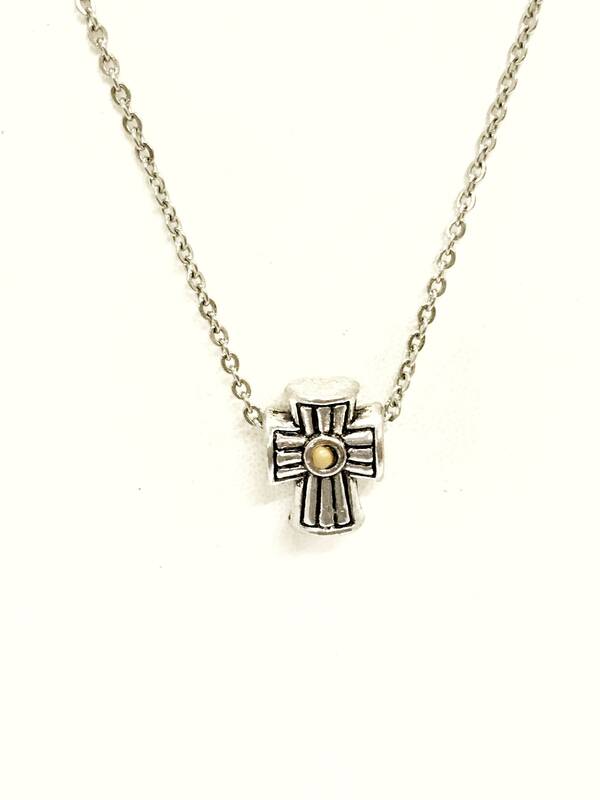 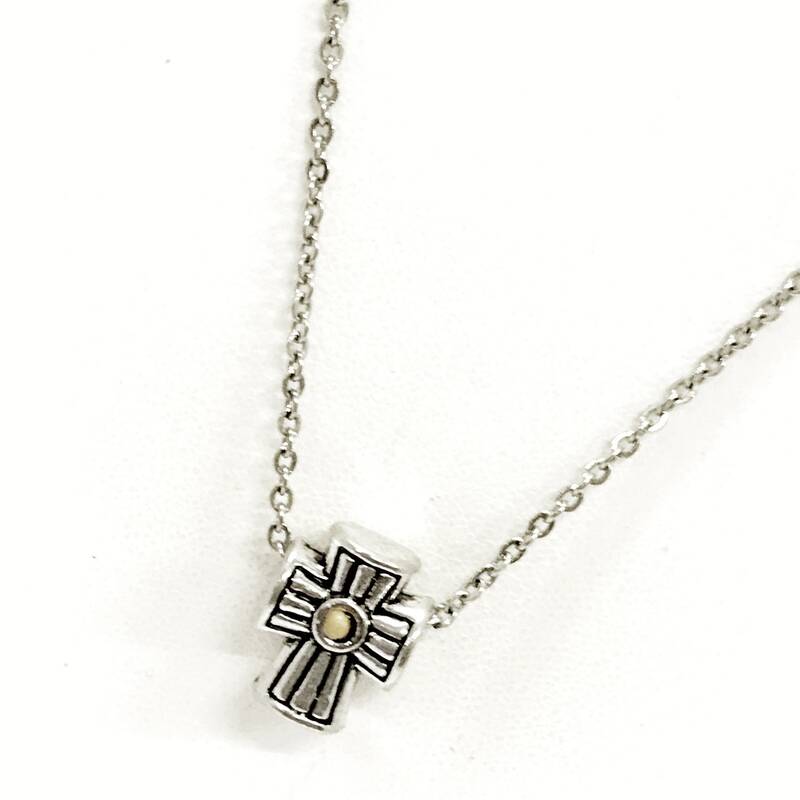 The Bible verse of Matthew 17:20 tells us “I say unto you, ‘If you have faith the size of a mustard seed, you will say to this mountain, ‘Move from here to there,’ and it will move and nothing will be impossible to you.’ This is a beautiful stainless steel chain necklace with a cross European-hole charm that has a mustard seed at the center to remind us that with the faith of a mustard seed we can move mountains. 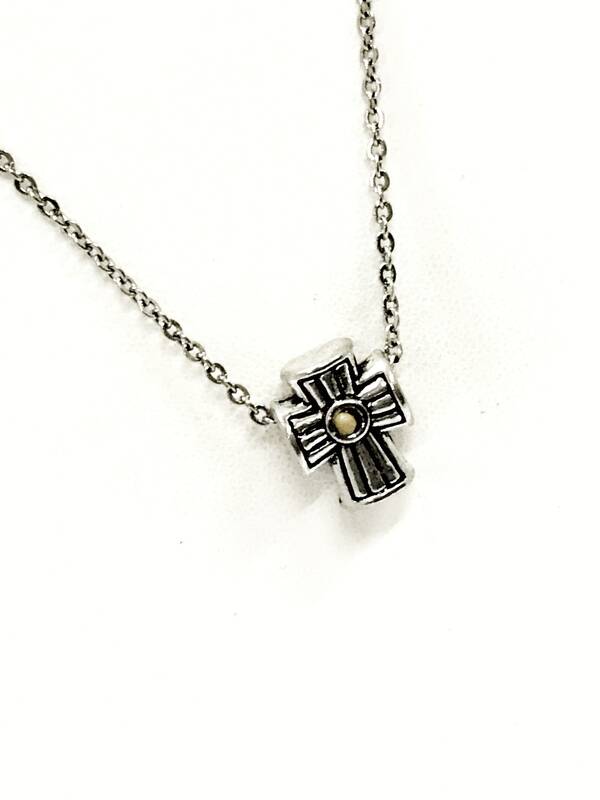 The pendant comes on a stainless steel link chain. 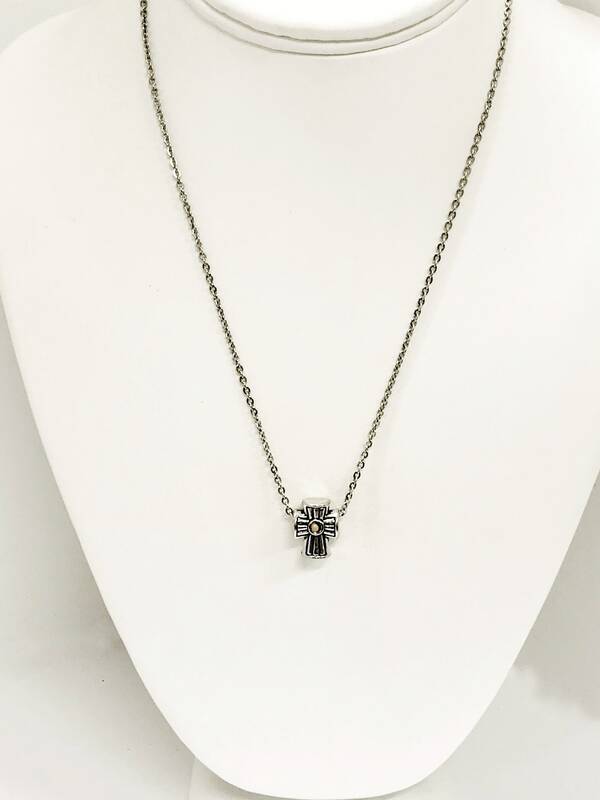 This pendant is available on your choice of 16, 18, 20, 22, 24, 26, 28 or 30 inch chain. The pendant is also available for individual purchase if you have another chain on which you would like to wear it.